Earlier this year we were honoured to have HRH the Prince of Wales visit us at Fentongollan. 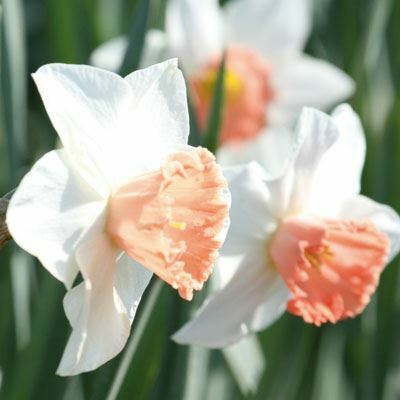 To mark this special occasion, Fentongollan and the bulb growers of Cornwall named a new variety of Daffodil in the Duchess of Cornwall’s honour, ‘Narcissi Camilla Duchess of Cornwall’, a framed picture of which was presented to Prince Charles on the day. The new variety is a striking colour combination of pink and white, it is without doubt one of the most beautiful varieties bred in Cornwall and is now available to buy online, here in the Fentongollan bulb shop.